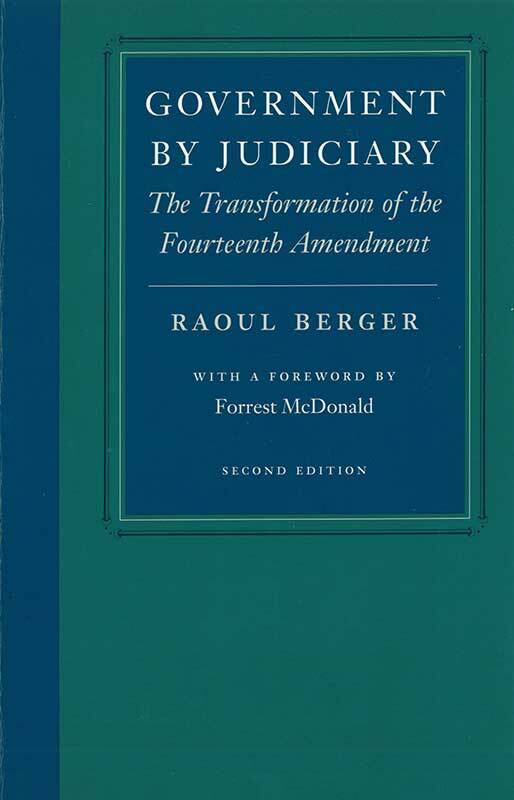 It is Berger’s theory that the United States Supreme Court has embarked on “a continuing revision of the Constitution, under the guise of interpretation,” thereby subverting America’s democratic institutions and wreaking havoc upon Americans’ social and political lives. Raoul Berger (1901–2000) was Charles Warren Senior Fellow in American Legal History, Harvard University. Foreword, preface to the second edition, abbreviations, introduction, appendixes, bibliography, bibliography of Raoul Berger's writings, index.